Learn more about our conference presenters. Click on their name to read more about them and the sessions they will be presenting. 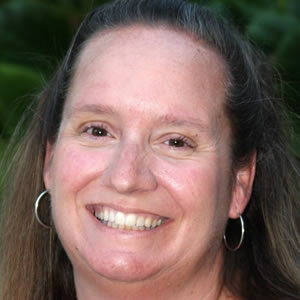 Amy Kendall is the Disabilities Minister for over eleven years at Saddleback Church in Lake Forest, CA. 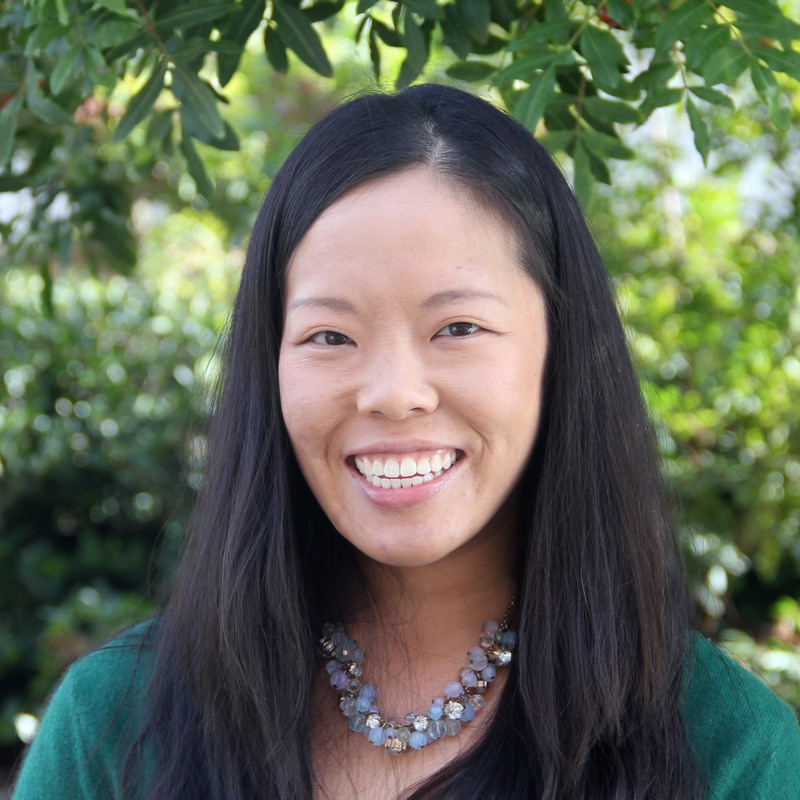 Before working at Saddleback, she worked for 10 years in the educational sector as a behavior specialist, specializing with children on the autism spectrum. Amy graduated from Pacific Christian College with her BA in Ministry and from Hope International University with her MA in Marriage, Family, Child Counseling. Amy also has a teenage son with multiple disabilities and believes that she is a better minister because she got the blessing to be his mom. Andrea Moriarty is the author of One-Track Mind: 15 Ways to Amplify Your Child’s Special Interest and Radical Inclusion: What I Learned About Risk, Humility, and Kindness from My Son with Autism as well as cofounder of Banding Together, a music therapy nonprofit. 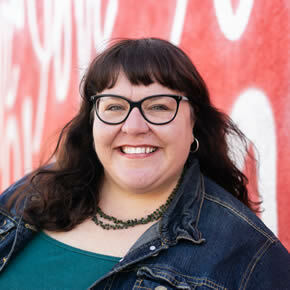 She speaks nationally and leads workshops where she shares unending hope, affectionate humor, and innovative resources with parents and educators.Moriarty and her husband, Jim, are adoptive parents of grown twins. Allie is a board-certified music therapist and Reid is a singer songwriter, speaker, and host of Talk Time with Reid Moriarty. Moriarty lives in Solana Beach, California, where she accumulates books, cooks from scratch, and whistles while she works. 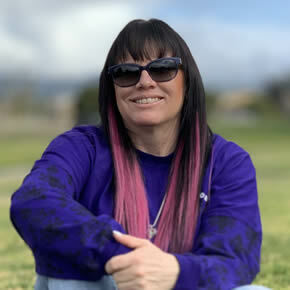 Janice Chan, M.A., BCBA, is the deacon of special needs ministry at Reservoir Church in San Diego where she coordinates a special needs respite program called Buddy Break. In her day job, she specializes in training adults to use Applied Behavior Analysis (ABA) with young children with autism. She is currently the lead trainer on an autism research team at University of California, San Diego. She is also a professor at San Diego State University. Dave has led the Disability Ministry at Mountain View Church in San Juan Capistrano since its inception in 2014. He is also the director of the Refuge Disability Resource Network, a nonprofit 501(c)3 designed to help organizations and communities more effectively engage and resource individuals and families affected by disability. In what seems like a former life, he earned a Bachelor's degree in Political Science and a Master's of International Law (LL.M) studying international security policy. Dave also teaches at Saddleback College in the OASIS program for adults with disabilities. He is happily married to his wife Gillian, and lives with their 18 month old son Boyd in San Juan Capistrano. 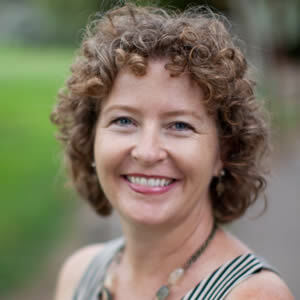 Bethany McKinney Fox (PhD, Fuller Theological Seminary) runs the Access Services Office and is adjunct professor of Christian ethics at Fuller. Her new book Disability and the Way of Jesus: Holistic Healing in the Gospels and the Church (IVP Academic) examines how Jesus' healing in the Gospels, too often used in ways that wound people with disabilities, might point a way toward real healing and mutual thriving. Dr. Fox is founding pastor of Beloved Everybody Church, a church startup where people with and without intellectual disabilities lead and participate together. Steve Nyenhuis is the Disability Ministry Director at Anaheim Christian Reformed Church where he teaches an inclusive Sunday School class and also plans and helps to lead monthly worship services with adults with intellectual disabilities. Steve and his wife, Val, enjoy spending as much time as possible with their two daughters, son-in-law and two grandkids. Robin has had the joy of serving individuals with special needs for 40 years. 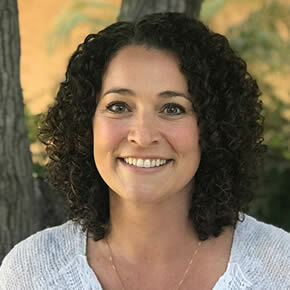 She holds a teaching credential in Special Education and most of her experience has been with the hearing impaired along with students who have behavioral and emotional needs. For the past 10 years she has served with Young Life Capernaum, directing the ministry and coming alongside families to help communicate the Gospel in various ways. She loves sharing God's great plan of mutual sanctification for our friends who often need an extra voice to advocate for them, and how those who know and love them can become more like Christ because of how He created them. Jennifer is the Pastor of Disabilities at Crossroads Church in Corona, Ca. She holds a Bachelor's in Christian Ministry, a Master's in Disability Studies, and is currently working on her Master of Divinity. Jennifer is passionate about creating a space for people with disabilities to thrive. Jennifer is also a widow of over 3 years. She loves her dogs, frequents Disneyland often, and enjoys traveling. Linda Martin, MME, MT-BC, is a certified neurologic music therapist specializing in behavior management and children with autism spectrum disorder. She provides services in both the educational and clinical settings. 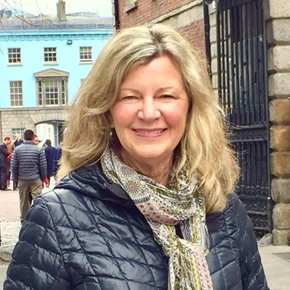 Linda authored chapters on Applied Behavioral Analysis and Music Therapy Assessment in the 2012 and 2018 publications of: Early Childhood Music Therapy and Autism Spectrum Disorders. 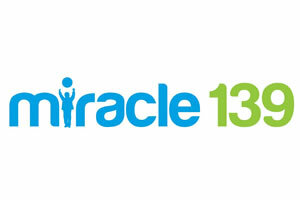 In 2007, Linda founded the Miracle 139 special needs ministry at the Rock Church in San Diego, CA. Recognizing a big need for churches to become equipped to welcome children with special needs, Linda published “Miracle 139: Special Needs Ministry Development & Training Manual”, designed to help churches start and maintain effective special needs ministries. Linda is also the Founder and President of Miracle 139 International, an organization that provides special education and special needs ministry training internationally. Dr. Ben Rhodes is the Director of Academic Engagement in the Christian Institute on Disability at the Joni and Friends International Disability Center. He and his wife Katie enjoy traveling to new places, great books, and good food. Katie works with resource/foster families, and they are both committed to faith-based partnerships with vulnerable populations. Dr. Rhodes holds a PhD in systematic theology from the University of Aberdeen in Scotland and is passionate about the transformational effect of theology in the daily practice of Christian life. 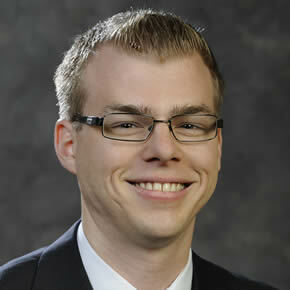 Michael Hoggatt holds Masters degrees in Special Education and Public policy & Administration. He also holds a Ph.D. in Higher Education Policy with an emphasis in Disability Policy. His work has received various awards including Saddleback College's 2017 President's Award for Innovation and Leadership for his development of Saddleback College's OASIS program for Adults with Disabilities. His work on disability policy as well as the intersection of faith and disabilities has been published in various outlets including The Journal of the Christian Institute on Disability, The Community College Review, The Community College Journal of Research and Practice, PRISM Magazine, and Focus on the Family. 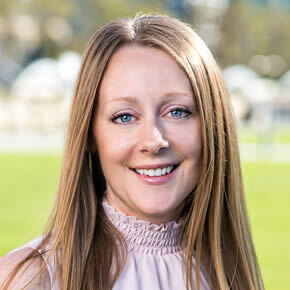 Dr. Hoggatt has worked at Saddleback College for 12 years. In addition to his role at Saddleback, he is a lecturer in Higher Education Policy for the Graduate School of Education at the University of California, Riverside. 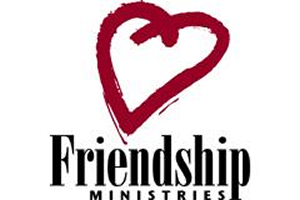 Additionally, he serves on the board of directors for Friendship Ministries, Inc., an international ministry whose purpose is to provide resources that support faith formation and congregational inclusion with individuals with intellectual disability. In his free time, Mike enjoys spending time and travelling with his wife and children. Mike and his family live in Orange County, California. 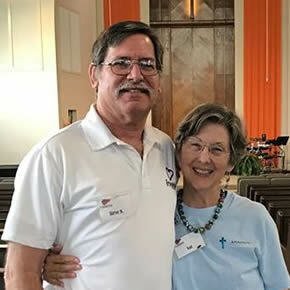 John and Nancy Pantellas have been serving in Young Life for 34+ years. For about 16 of those years they were volunteer leaders, and for 18+ years they have served on Young Life Staff. John currently serves as the Area Director and Capernaum Director for Santa Clarita Valley Young Life. Nancy serves on the Santa Clarita Valley Young Life Mission staff with her focus being on their Capernaum ministry. John and Nancy began their Capernaum ministry in SCV Young Life about 15 years ago, and it is their joy and their delight to watch it grow. 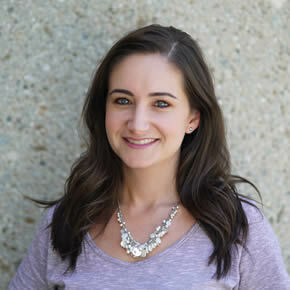 Melissa is the Associate Director of Marriage and Family Ministries at Calvary Church of Santa Ana. She started and oversees Calvary's Bridge Ministry, which provides inclusion and belonging for members at every age level. Melissa is also a professor at Saddleback College, teaching Independent Living Skills to adults with intellectual disabilities. She is a mom to 3 amazing girls and is passionate about helping the church become a place where each of them can experience belonging and community. 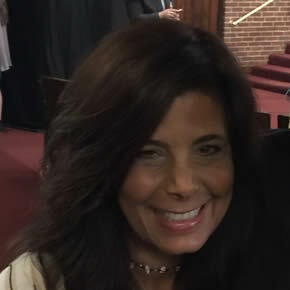 Marisa Altamirano is a passionate advocate for individuals with unique abilities. 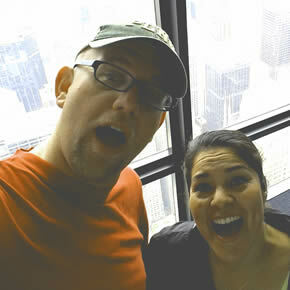 She is the director of the special needs ministry at VantagePoint Church for the past 5 years. She is dedicated to finding ways to include ALL individuals and creating opportunities that bring awareness to the church. Marisa also holds the chairperson position for the Community Advisory Committee for Special Education in her local school district. She is a wife and mom to three wonderful boys, one of whom has autism. Jeannie is an Occupational Therapist who has worked with children who have special needs for over 35 years. After graduating with a master’s degree in Occupational Therapy from the University of Southern California, she went on to pursue her life’s calling–helping children with special needs. Thirty years ago, she began providing therapy for children and their families at the Intervention Center for Early Childhood. She also conducts In-services on a variety of topics including “Learning through Play” and “Insights on Sensory Processing.” She has served with Calvary Church Student Ministries as parent liaison , and as a speaker for a Girls High School retreat on “Becoming Unmasked.” Jeannie is passionate about walking the journey of growth with the children and families whom she serves. 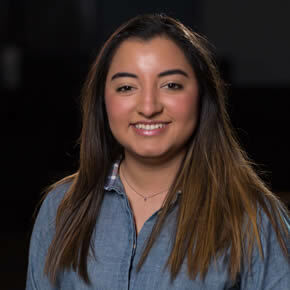 With an increased desire to assist in the spiritual aspect of journey, and a heightened awareness of God’s presence in our midst, she is a student at Loyola Marymount/Sisters of St Joseph of Orange, studying the Art of Spiritual Direction. Jeannie and her husband Mark live in Orange. She has two grown-up, out- of- the- box thinking sons, and one adorable grandson.